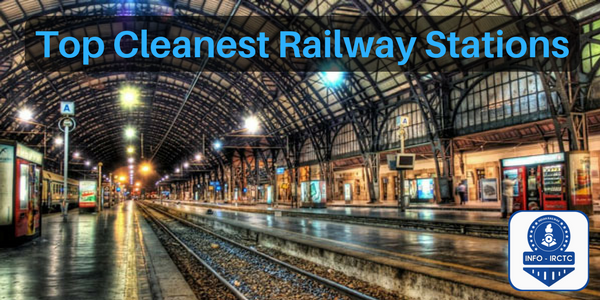 Visakhapatnam Railway Station of Andhra Pradesh is administered by East Coast Railway of Indian Railways, ranked 1st in the list of cleanest A1 category railway stations of India in 2017. The station is actually a terminal station and has 8 platforms. 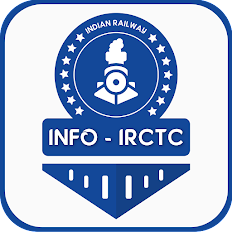 Secunderabad Junction Railway Station of Telengana is located in the heart of Hyderabad and one of the major intercityrailway station in South India. The station serve the twin cities of Hyderabad and Secunderabad. Jammu Tawi Railway Station is one of the major and largest railway station in Jammu and Kashmir state. The station is starting point of India’s second longest running train Himsagar Express. Vijayawada Junction Railway Station is the second cleanest A1 railway junction of Andhra Pradesh and one of the busiest railway stations in India. The station has 10 platforms and 7 number of platform is the largest of all. Anand Vihar Terminal Railway Station in the locality of Delhi is administered by Northern Railway zone and one of the largest railway stations in Delhi. The Anand Vihar terminal has facilities like booking office and booking counters. Lucknow Junction Railway Station is located next to the beautiful Lucknow Charbagh railway station. Lucknow Junction is well connected with all the major and important Indian cities. Ahmedabad Junction Railway Station is the biggest and busiest railway station of Gujarat and one of the highest income generating railway station of India. The station also referred as Kalupur railway station and has 12 platforms. Jaipur Junction Railway Station of Rajasthan is listed among the top 10 cleanest and busiest A1 category railway stations of India in 2017. Jaipur station is very well connected to other major cities of India and also one of the stop for India’s most famous and luxurious trains. Pune Junction Railway Station was the dirtiest railway station in 2016 and in the year 2017 among 10 of the cleanest railway station of India. The Pune railway station ranked ninth among 75 A1 category stations in the country. Bangalore railway station is the major railway station of Karnataka serving the city of Bengaluru, located across the Kempegowda Bus Station. Bangalore city station has 10 platforms and also served to Namma Metro Purple Line.